Today I climbed Mt. 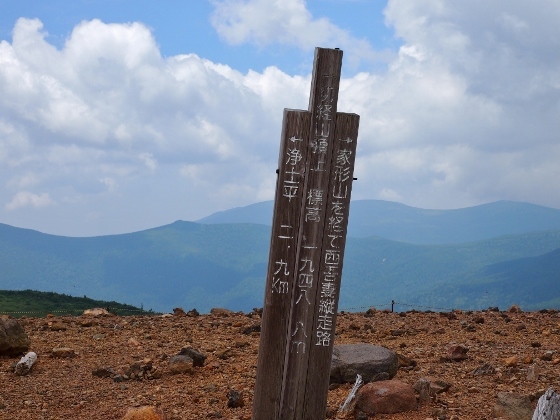 Issaikyousan (1948m) from Jododaira trail gate. 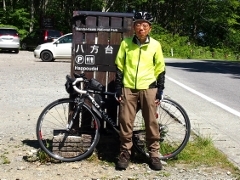 I pedaled from Koriyama City to Akayu Onsen at Tsuchiyu Pass yesterday, and I also pedaled from Tsuchiyu Pass to Jododaira Height this morning. At Akayu Onsen yesterday there was naturally pouring sulfur hot spring called Shiroyu which meant white spring. 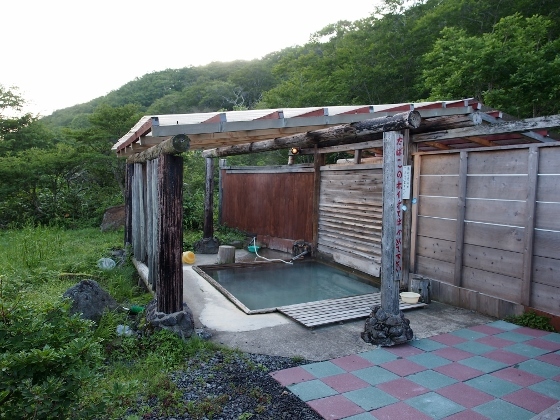 This Shiroyu was extremely good with open air bath surrounded by wild green trees. The owner of this bath was Kozanso Inn which was a member of Japan Segregated Hot Spring Inns. I pedaled on Bandaiazuma Skyline Road to Jododaira. 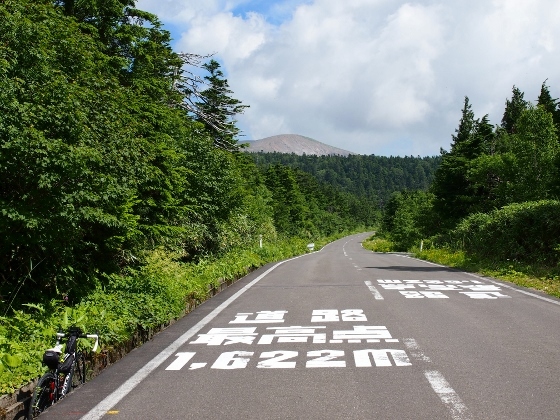 At the highest point of the road which was 1622m high I could see Mt. Issaikyousan far ahead as shown above. Some views from the trail route from Jododaira to the Top of the mountain are shown below. 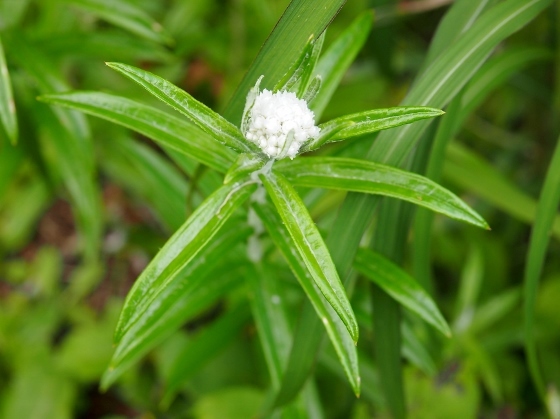 I found many white flowers of pearly everlasting starting to bloom along the trail. 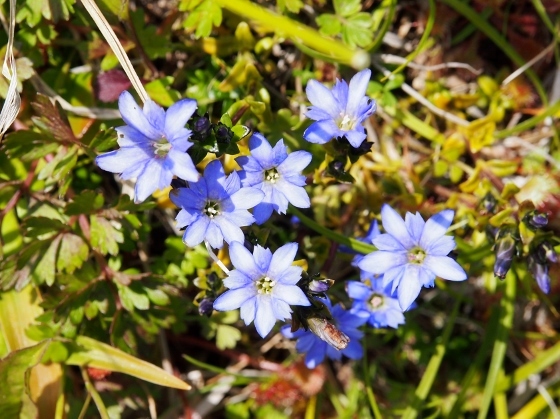 I found some flowers of Gentiana nipponica at Sugadaira field on the way. 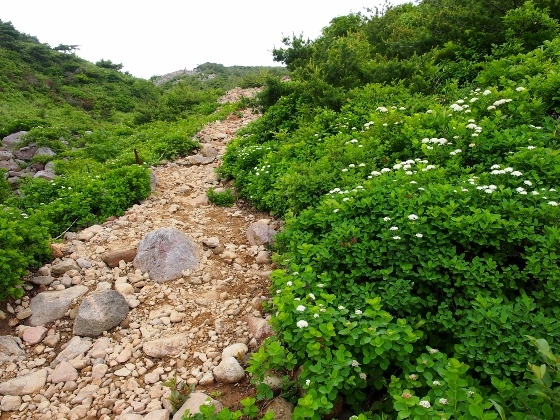 Along the trail at higher altitude I still found many white flowers of Spiraea betulifolia as shown above. 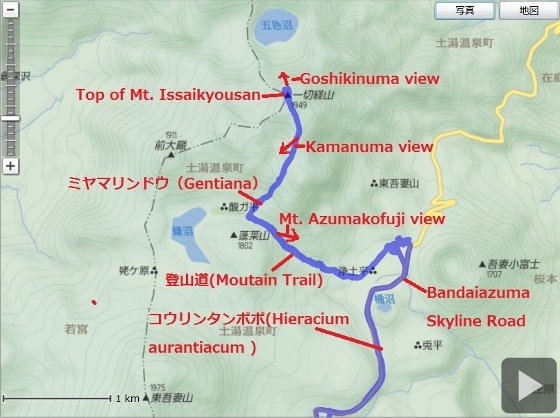 Above photos show views at the top of Mt. Issaikyousan. 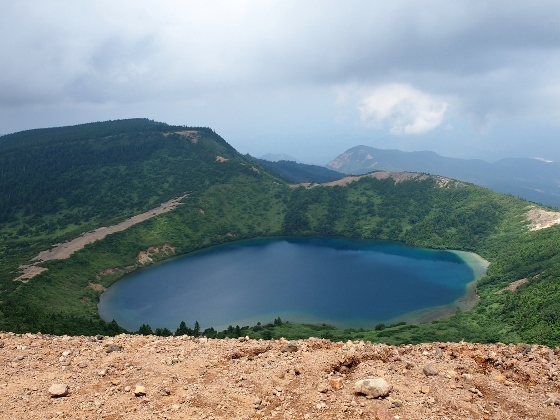 I could look down to Goshikinuma Pond as shown above. 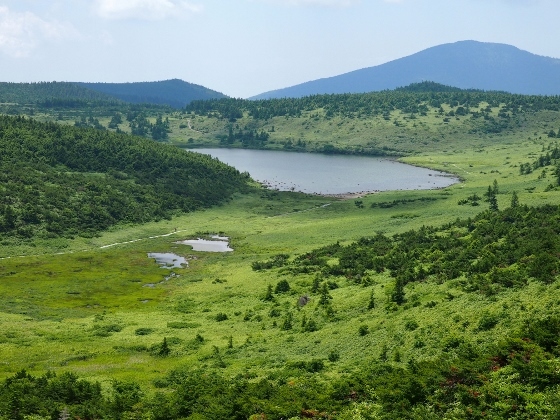 As I went down the mountain I found a great view of Kamanuma and surrounding marsh. As I went down further I could see close view of Mt. 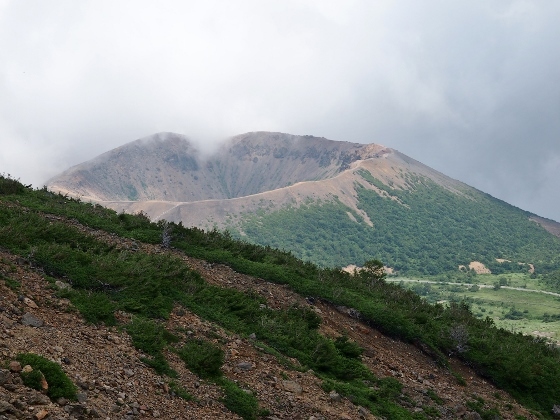 Azumakofuji as shown above. 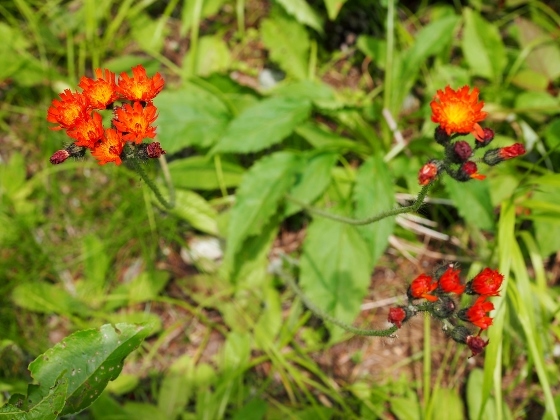 On the return route I found many orange flowers of Hieracium aurantiacum along the roadside as shown above. Tonight I stayed at Noji Onsen Hotel at Tsuchiyu Pass.